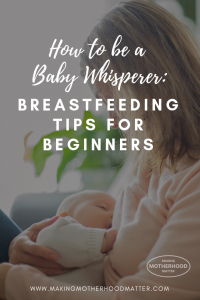 Inside: Here, I share over 10 breastfeeding tips and tricks for beginners nursing a newborn that I’ve learned along the way. This piece has been sponsored by MULTIWEAR and contains affiliate links. All opinions are my own. I’ll never forget feeling my baby girl laying on my chest for the first time. We were skin to skin. That first time feeding her I had no idea what I was doing, but we made it through it. The next day I asked to meet with a lactation consultant, which was a great help. I was so blessed to have nursed both my children over a year. 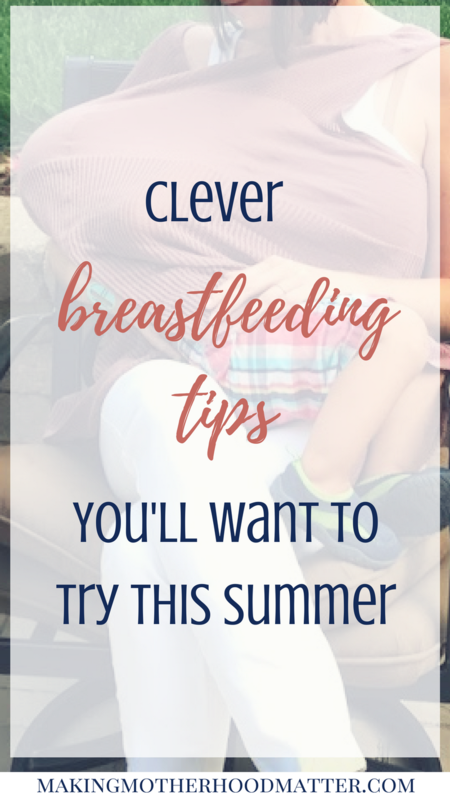 Here, I want to share more than 10 breastfeeding tips for beginners that I’ve learned along the way. Once the baby is born, nurse as soon as possible. 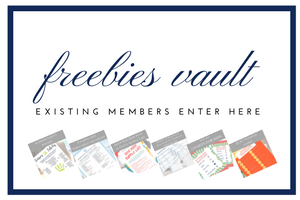 If you need more information regarding how to get your infant to latch, how often to nurse, and different nursing positions, you can find them in the ultimate breastfeeding guide. Most hospitals include a lactation consultant while you’re in the hospital. Even if you think things are going well, I recommend asking to have one come and visit so they can help you fine tune any changes you may need to make. Even after nursing for over a year with my first child, I still asked to have a lactation consultant come to visit me with my second. I was so glad I did. I was amazed at what little tips and tricks I had forgotten. Stay hydrated. Eat healthy foods¹ that will fuel your body, making sure you get protein², carbohydrates, folic acid, omega-3 fatty acids, calcium and iron. Try to let yourself rest when you can. And be gentle with yourself. Check with your OBGYN to confirm, but it is usually recommended to continue taking your prenatal vitamins while breastfeeding. To really dig into the nitty-gritty details, it’s so helpful to read through articles like this ultimate breastfeeding guide and to get a good breastfeeding book to read before baby arrives and throughout the breastfeeding journey. Wear a nursing top so that you are ready to breastfeed whenever and wherever you are. Here is a list of the best nursing shirts. One of my favorites is the Summer Tank Cardimom® Open Weave Sweater because it is designed specifically for pregnant and nursing mamas. You can wear it several different ways, including as a swim cover-up. That way you always have a quick and convenient cover to breastfeed. I like that you can also use it to protect your baby from the sun by using it as a car seat cover. Wearing nursing tops will enable you to have the freedom you need to nurse throughout the day. Create a few places around the house where you can stay comfortable while you are nursing. A key in this is using a nursing pillow or regular pillows to support the baby and save your back. I liked to have a chair on each floor where I kept a nursing pillow, nursing pads, lanolin cream, water bottles, and burp clothes. I even kept a pillow in my car, so I could nurse comfortably if I were out in public. When you first start nursing, use lanolin cream after each time you nurse, even if you are not sore yet. It’s a good preventive measure. If you aren’t sore after a few days, then you can cut back. I found it to be helpful for staying ahead of getting irritated. Ask for a list of approved medications from your doctor to keep on hand in case you get a cold, headache, etc. Only certain medications are recommended while breastfeeding. Wear a nursing top so that you are ready to breastfeed whenever and wherever you are. 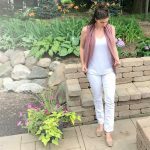 I like to use the Summer Tank Cardimom® Open Weave Sweater because it is designed specifically for pregnant and nursing mamas. You can wear it several different ways, including as a swim cover up. That way you always have a quick and convenient cover to breastfeed. I like that you can also use it to protect your baby from the sun by using it as a car seat cover. Wearing nursing tops will enable you to have the freedom you need to nurse throughout the day. If you are not comfortable breastfeeding in public, there are a few tips for getting yourself ready. One is to practice ahead of time with the cover or clothing that you will be using. Also, taking the time to select a spot that you will be most comfortable in. I prefer to find a space where there will not be many people sitting behind me, if possible. What is your favorite breastfeeding tip? Don’t forget to check out my favorite nursing cover by MULTIWEAR. PS – If you enjoyed this piece, you may also like The Ultimate Guide to Ensure Your Breastfeeding Success. I never thought to keep a pillow in the car! So convenient! Thanks, Stefanie. Yes, the pillow is a life saver. Great ideas! For me staying hydrated is key! And wearing easy access bras. Those are both great tips! Yes, nursing bras make life easy! This was my go to trick last summer while I was nursing my sweet Katherine! Yea?! That's great to hear. A nursing blanket never really worked for my kids, they hated it! lol We always ended up nursing in the car that's why I always bring a nursing pillow. A big yes to a comfortable nursing top too! :) Thanks for sharing this! Yes, I found the older my babies got, the less they wanted to be covered. But thankfully, they would still stay under a nursing shirt / cover. Love it! Keeping a pillow in the car is a GAME CHANGER! I hate when I don't have mine for some reason. Thanks for sharing! Yes, I agree the pillow makes a huge difference. Thanks for stopping by! Love the idea of keeping a small pillow in the car... I've definitely had way too many times where it get's uncomfortable. I'll have to do this! Keeping a small pillow in the car is such a great tip! It can be hard to be comfortable out in public, the pillow would definitely help! Thanks, Naya. Yes, a pillow is a lifesaver. pillow in the car?! why didn't i think of that?? my kids hate to be covered. i'm comfortable nursing in public but i still feel the judgey eyes of some other people. I normally just nurse with like a burp cloth over my shoulder so there is a little coverage without covering the whole baby. Yes, it can be hard to get comfortable in public. I like the burp cloth idea too! These are great tips! Especially the pillow in the car! Right?! Nursing tops and loose clothes were my go to's when nursing.